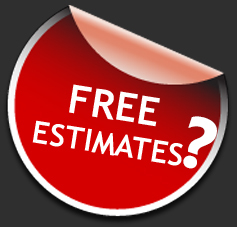 What Does “Free Estimate” Mean? Ask yourself….when’s the last time you got something for free from a stranger? Maybe a hug, but it seems today everything comes with a “FREE” sales pitch attached. It makes you wonder who won the lottery and has such a generous heart. When it comes to getting free estimates on your car repairs, there’s always a catch! It stands to reason that the overhead of employees and operating costs don’t go away just because they are looking at your car for free…..so who’s paying for their time? Maybe it’s you or the other person who got sold unnecessary items. There really is no such thing as free, only great value for the money! It’s our opinion that paying for time to get an honest answer is always cheaper then paying for unneeded parts and labour after getting a “FREE” estimate. The next time someone offers you something for free, think of that phone call you got from the person offering you a “FREE” trip….were there no strings attached?